Good article, so what's the answer? Whats its relative value, is it overbought? Good analysis, Manish. Do you have quantifiable figures to price the coin? We already have the supply figure. Perhaps transactions volume can be used as demand (http://www.marketwatch.com/story/is-bitcoin-in-a-bubble-this-metric-suggests-theres-more-room-to-grow-2017-06-08) and standard deviation be used as risk. 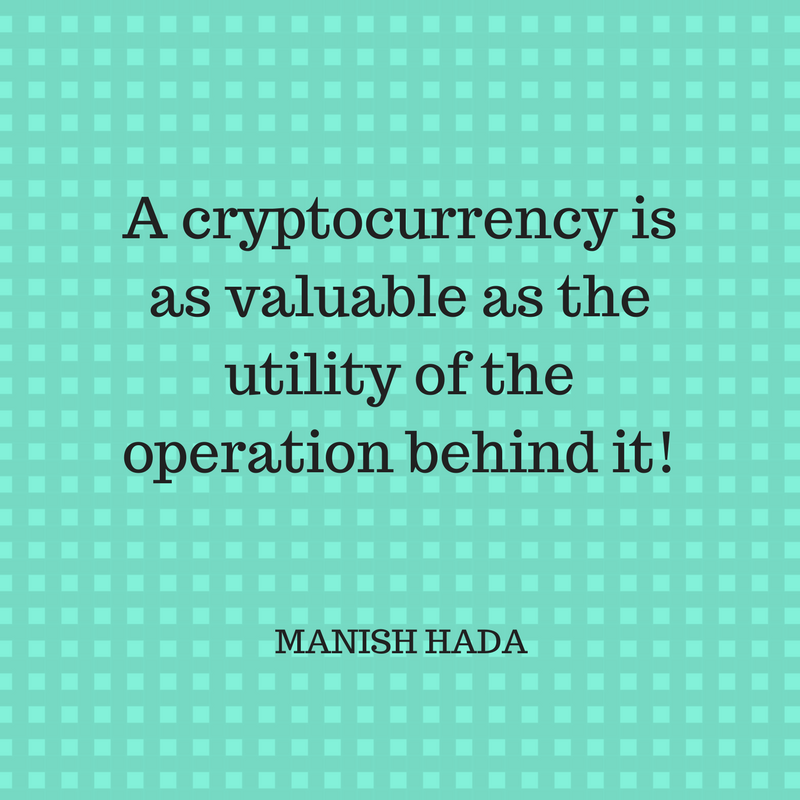 Perhaps an econometrics model (multiple regression) can be utilized to price the coin using the variables mentioned above. But how to put everything together into the pricing model is another story. Using a regression is interesting though it would be more of a technical analysis of the Bitcoin price. We know the capped supply of Bitcoins. Also we know the main uses cases of the bitcoin (i.e. international transfers, alternate investment). We need to quantify the value of these use cases and simply divide it by the supply to arrive at a "fundamental value" for the Bitcoin. Please let me know if you want to develop this deeper and if you need any assistance that I might be able to help. I have graduate degree in both Economics (MA) and Finance (MBA) and experience in data management and quantitative/financial/simulation modeling. Alright, i read the article, overall is an article that hasn't answered the question with your title "Pricing Cryptocurrency", If you're going to use that title, then the reader would expect to find the answer in your writing and findings, that wasn't the case here. In order to qualify for such answer, anyone needs to understand demand and supply first, also some business experience in the past, not necessarily successful venture, since failure is a very good teacher, is needed. I personally think, you never ran any business in the past, or held any managerial positions in any company, your assessment was based from a consumer standpoint and was more of an excerpt of multiple news glued together without a real order to it, or a descending order to current events in the world of virtual currency. 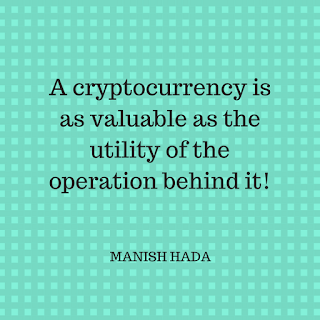 In order to achieve a complete analysis and evaluate value or the need for virtual currency, you would have had to enter this world at least around the 3rd year since the birth of Bitcoin and by that i mean, owning it, trading it, purchasing it, selling it, buying things with it and eventually lose some of it to scams that were born because of it. In order to achieve that knowledge and qualify as an analyst, one needs to study its past and present, having a blog and a computer is not sufficient, but a mere attempt to get some feed back, and that,.. you got from me. Thank you for the feedback. You make some interesting comments. Yes, I do agree that to value something, you need to understand it thoroughly. What I have written is a broad framework of how analysis needs to be done. Besides, investing into something and then figuring out its value is not advisable in my view. However, I do want to thank you for taking time out and writing some interesting feedback for the post! This is a good article that provides a framework for further analysis. Can you provide more details on the statement, "The Bitcoin Blockchain has been facing a security issues". My understanding is that the Bitcoin blockchain itself is hacker proof, but it's the online storage of bitcoin private keys that's a security risk. That is correct. Storage of private keys poses the biggest security threat. Good article thanks for sharing this interesting article it may be useful.